I am a 34-year-old freelance writer and working on my bachelors in Psychology at SNHU! I have a disease called Osteogenesis Imperfecta or brittle bone disease and because of it, I have spent a lot of time in casts. So, from a very young age, I love to read! Especially young adult fiction because the storylines are very relatable and I have always enjoyed reading in this genre. Our teen years is when we learn our greatest lessons and discover the most about ourselves which everyone experience. 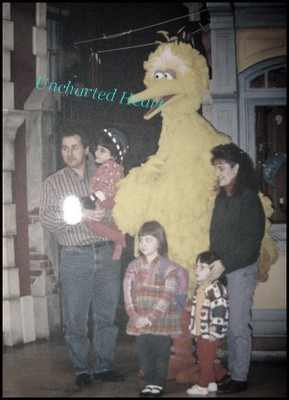 Another aspect of my life people are interested to learn about is about my years on the children’s television show Sesame Street. When I was nine years old I was on a wheelchair sports team at the local children’s hospital. We raced, did obstacle courses, all kinds of cool things! One day a talent scout for Sesame Street called my couch and said that for it’s 25th season it wanted to try and diversify it’s cast. One of the roles they were looking to fill was a person with a disability. The person said they were holding open auditions on a certain date and if my coach knew anyone that would be good at the role to give them the info. Well, he did and after three auditions I got the part! I was a part of the child cast until I was 16. It was a hard decision to make leaving the show, but I was in high school by then and schoolwork was getting tougher and starting to suffer. I hope one day to get back into acting if I get really lucky like a soap opera or maybe another kids show! Only time will tell! Below are some videos you can watch and I’ll add more stuff as time goes on that fits here.